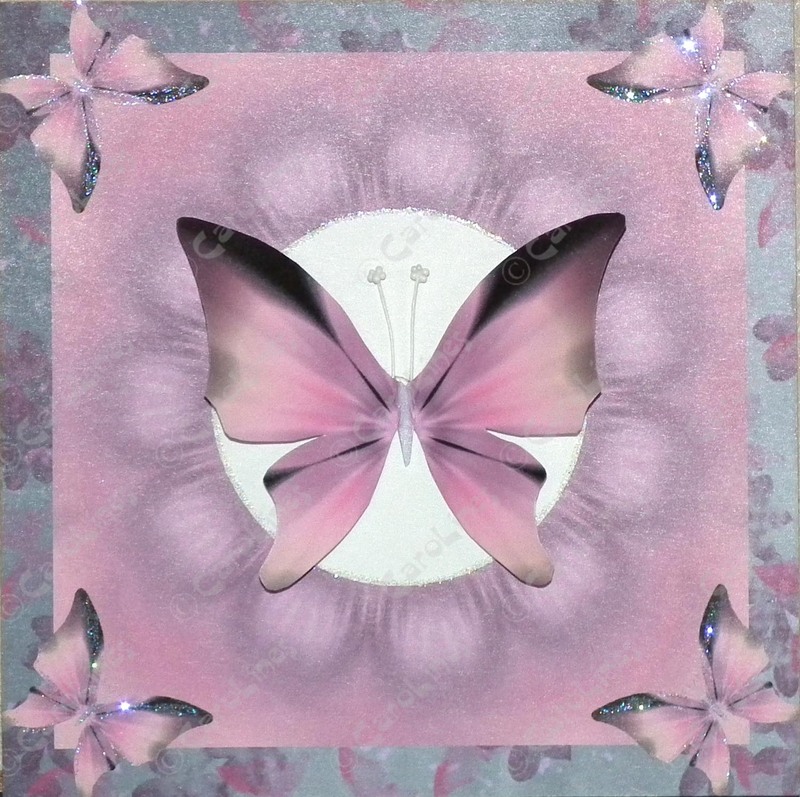 Card 6 using the new Rainbow Butterflies Digikit. You will need a graphics programme such as CAP2 or MCS to make this card. punch a circle from it. Re-size and position it in the centre of the radial paper. 3: Import the butterfly, re-size and position at a 45 degree angle and position in the corner of the design. Copy and reverse the image until each corner has a butterfly. 4: Import the butterfly again, re-size and position in the centre of the white circle. 5: Remove and save the large butterfly and print the rest of the design on to good quality card. 6: Print the butterfly on to card also. inserting two artificial flower stamens for antennae.